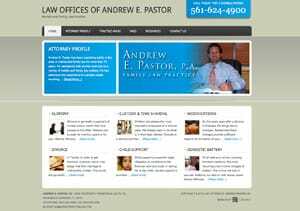 Andrew E. Pastor has been practicing solely in the area of marital and family law for more than 15 years. He represents both women and men in a variety of marital and family law matters. He has extensive trial experience in complex cases involving custody, visitation, division of real and personal property, relocation, alimony and modifications of prior Final Judgments.